Or you are only concerned with the alignment of a few front teeth in an otherwise good bite? The following options may be offered to you after our orthodontists have done their assessment. If you are only concerned with the crowding of your front teeth and also face a time constraint, ‘Social Six’ treatment may be an option for you. ‘Social Six’ braces is a catchy term to describe orthodontic treatment that is limited to only the six front teeth. 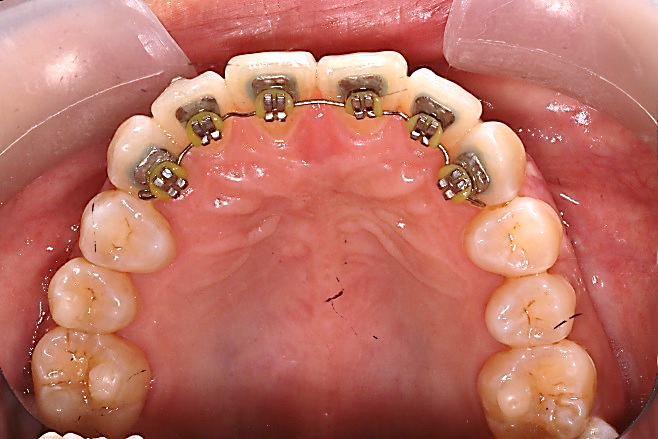 Removable retainers or sectional fixed braces (labial or lingual braces) may be utilized but its effectiveness is limited to mostly mild crowding cases with otherwise a good bite. A thin arch-wire is bonded on your teeth without the use of brackets to achieve simple movement. Only gentle force is used to move teeth . In severe relapse or previously improperly managed cases (deep and traumatic bite, residual extraction spaces, poorly angulated teeth, crossbites causing functional displacement, aesthetic issues such as ‘dished-in’ profile), comprehensive orthodontic treatment will be recommended.